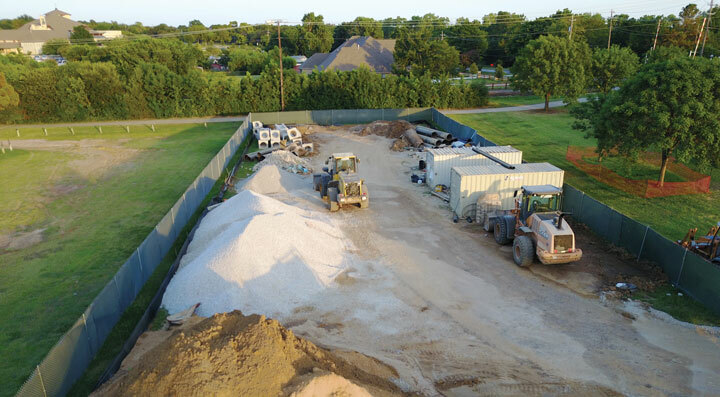 Drones, of all shapes, sizes and configurations, are becoming a common sight on construction projects and slowly but surely are matriculating to the oil and gas pipeline sector as well. Those involved with drone technology, and who are also familiar with oil and gas pipelines, note that we are still in the early-adopter phase. Of all the construction sectors, oil and gas, is often slow to embrace new technology. To understand the rise of drones — also referred to as unmanned aerial vehicles (UAVs) — one needs to look at the August 2016 decision by the FAA to pass Part 107 of the Federal Aviation Regulations to legalize the use of drones for commercial purposes. The Part 107 license covers small unmanned aircraft systems (sUAS) that weigh less than 55 lbs, including everything that is onboard or attached to the drone. The passage prompted forward thinking companies to get employees licensed or explore how drones could be implemented in daily operations. It also led to the start-up of companies that specialize in drone services. According to a recently released study conducted by Blue Research, the construction and engineering segment has the highest adoption rate of drones. The study was conducted on behalf of Skyward, a Verizon company, which offers drone operations management and consulting. For the study, Blue Research sampled 1,736 individuals who worked at a random mix of U.S. companies with $50 million or more in revenue. The results showed that 35 percent of companies in the construction and engineering segment used drones. Formed in 2017, Asset Drone is primarily a technology and information gathering business and counts drones as its main tool to gather data. Headquartered outside of Fort Worth, the company has a fleet of about 25 drones and has full-time and contract pilots available across the United States. Asset Drone’s customers include asset owners, engineering firms and contractors. Worley notes that while there are benefits to companies building an internal drone program, many opt to outsource the drone work for several reasons. In addition to the risks involved with complying with FAA regulations and having proper aviation insurance, there are staffing (new employees, training existing staff, etc. ), logging (flight and maintenance) and maintenance concerns (battery life cycles, props, sensors, etc.) to consider. 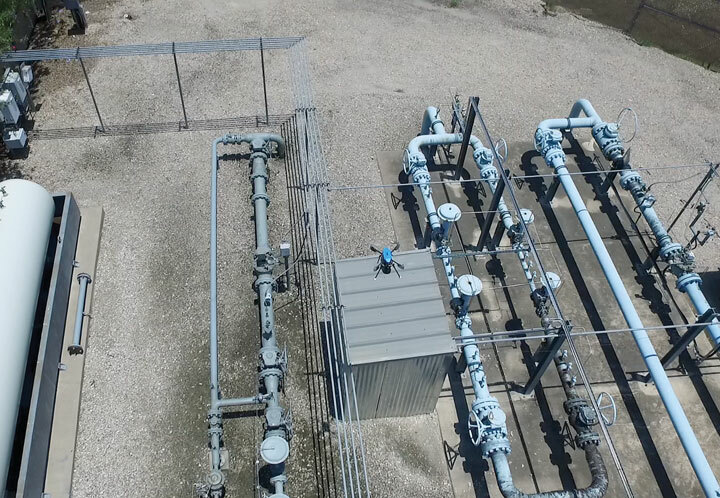 One early adopter that is testing the feasibility of using drones for leak detection is Heath Consultants Inc., which developed its RMLD-UAV as part of the U.S. Department of Energy’s Advanced Research Projects Agency-Energy (ARPA-E) program. The RMLD-UAV takes a smaller version of Heath’s laser-based Remote Methane Leak Detector (RMLD), mates it to a UAV and uses it for methane leak detection. Started in 2015, the project is a collaboration between Physical Sciences Inc. (PSI), in conjunction with Heath Consultants, Princeton University, the University of Houston and Thorlabs Quantum Electronics Inc. The drone flies a pre-programmed pattern around a facility searching for leaks and if one is detected, the drone circles the potential leak source and calculates the emission rate. While Heath’s use of the drone is focused on leak detection, Wehnert says additional uses of the technology within this sector include inspection of well sites, gas plants, compressor stations, bridge crossings and other inaccessible terrain. Contractors hire Asset Drone for varied tasks including site surveys before, during or after various important events. As a pipeline operator, Marathon Pipe Line LLC (MPL) is another early adopter of UAV technology, purchasing its first drone in 2017 and quickly growing its fleet to 13, with 18 FAA licensed pilots and five taking courses to receive the FAA Part 107 licensure. MPL’s goal is to have an sUAS and trained pilots in each of its service areas. The focus for MPL remains to use the drone to inspect locations where it would be difficult or pose a safety hazard to access on foot. It is also used for project planning, pre-bid planning and emergency response. With a year of drone operation under its belt, MPL is now looking at the feasibility of using video and images to integrate with its GIS software to create 2D and 3D maps. The latest addition to the fleet is a SwellPro SplashDrone, a waterproof drone that can be put to use in hurricane and other wet weather-related events. One of the biggest advantages Byers has seen thus far is having quick access to data that was not available to the company in the past. For instance, during flood situations, areas would become inaccessible. Now, with a drone, MPL’s crews can fly over the area and accurately assess the environmental conditions that exist. One year of use did not return enough quantifiable data, but Byers believes that MPL will start seeing a cost savings by using this new aerial technology. One of these potential areas of cost-savings is expedience. Drones give the crews access to imagery onsite in nearly real time, instead of having to wait for it to be returned when using a helicopter or an airplane. There is a safety aspect of not putting an employee in harm’s way to gather data over difficult terrain. A safer project almost always equates to a more profitable project. The formation of Asset Drone and MPL’s first drone purchase are two of many examples of drone technology gaining prominence following the FAA ruling. Another example, announced at CONEXPO-CON/AGG 2017, was a strategic alliance between John Deere and Kespry. The alliance opened up John Deere dealerships as sales points for Kespry’s drone technology. Unlike the Asset Drone technology, which can be customized to suit a client’s specific needs from site imagery and topography to the addition of sensors for a bevy of data acquisition tasks, the John Deere solution is solely focused on jobsite data acquisition. Customers can use the drone to measure topography, measure productivity, verify work and locate assets. Along the pipeline right of way this can be useful for equipment route planning, assessing the amount of brush cleared or trench dug, amount of right of way restored and equipment locating. Because of the potential for a broad swath of prospective users, John Deere had to find a solution that was easy to use and operate. The flight plan is created via an iPad where the operator defines the capture area and flight height. They hit the take-off button and the drone flies the area on its own. After the pre-programmed flight is complete, the drone lands and the data transfer, for post processing, begins. Customers can visit a John Deere dealer and sign up for a one-year lease of the Kespry drone. That lease includes the drone, flight software, post-flight processing and access to the Kespry cloud, where the processed information is stored and tools are available for analysis. Because the Kespry system was designed by Kespry from beginning to end, customers have a one-stop shop for customer support. Kahler reports that Kespry has a high renewal rate on its leases. Heath Consultants is testing the feasibility of leak detection via drone using its RMLD-UAV. Speaking to the speed of data acquisition, Kahler explains that, in an industry that is constantly facing worker shortages, using a drone to collect topographic data can be done in minutes. A survey crew would have to be booked and then it could take them two to three days to collect similar data. And the data collected by the Kespry drone will be accurate to within 2 to 5 cm, a range that is on par with a traditional survey crew. As with any tool in the construction industry toolbox, drones are not a miracle solution but just one tool. There are still many restrictions to where drones can fly, including over people, within restricted airspace and beyond visual line of site. Waivers are available for some of these hurdles, but getting those approved could be time consuming, eating up any potential cost-savings. 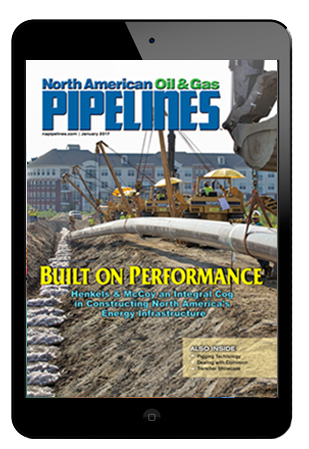 Mike Kezdi is associate editor of North American Oil & Gas Pipelines. Contact him at mkezdi@benjaminmedia.com.